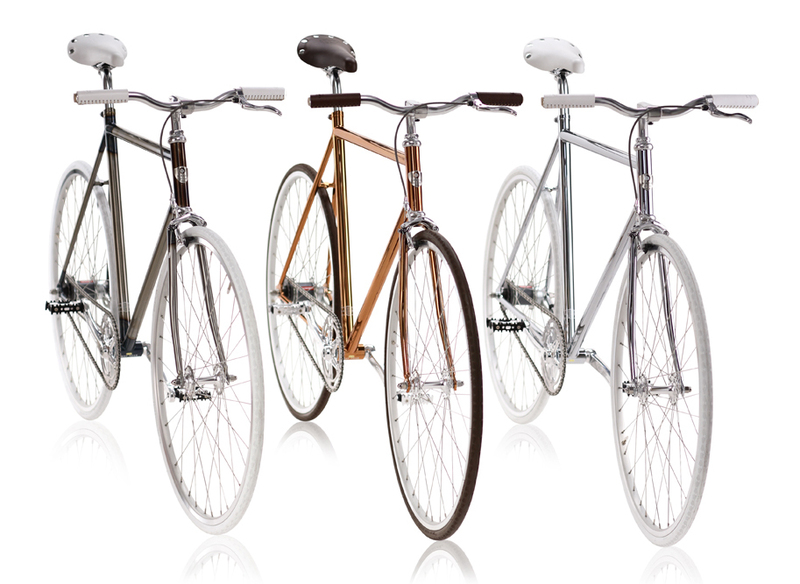 BIKEID uses it's Scandinavian design heritage to create the purest bicycle experience possible. Robert Nightingale, U.S. creative director for Sweden's BIKEID, wants to make stunningly beautiful, smartly utilitarian bicycles that will last for generations. 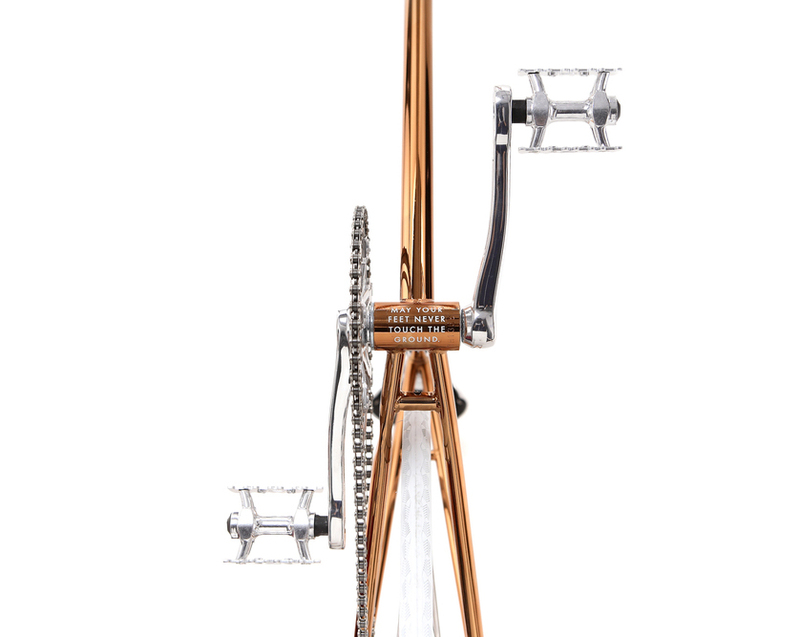 The "classic innovation" ethos of his company is making that dream a reality by combining iconic and elegant bicycle design with contemporary and cutting edge components and materials. As the preferred mode of transportation for millions worldwide, the bicycle is ubiquitous within urban landscapes. BIKEID's new line of three Limited Edition Diamond models feature flashy metal finishes and coordinated color schemes that are certain to stand out in a crowd. Nightingale and his team were inspired by the latest design trends to use highly polished copper and chrome on the frames, each with a striking shine that enhances the subtle color of the metals. The Copper hue is warm and earthy - a lovely counterpoint to the cool bluish sheen of the Chrome. 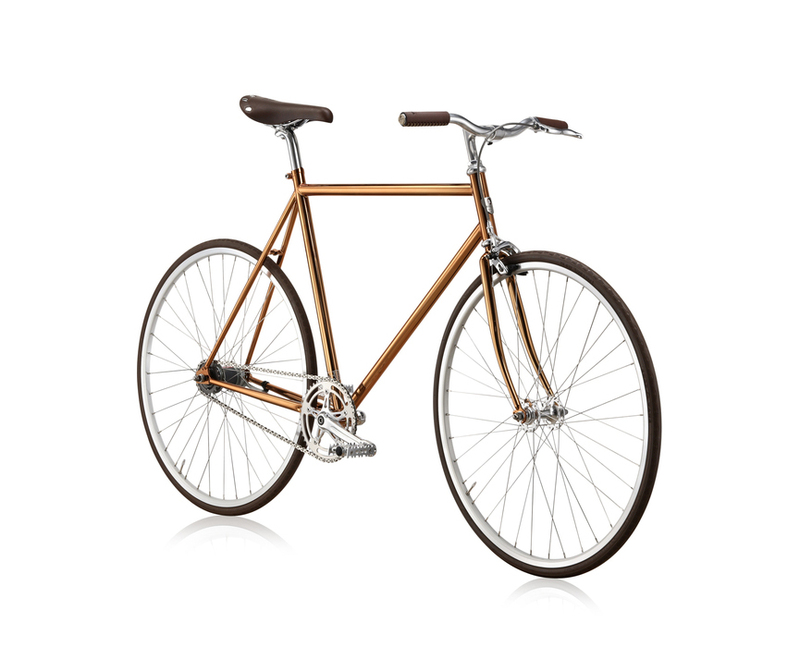 The Raw frame boasts a clear lacquer finish to elevate and celebrate the basic steel construction of a bicycle. By exposing the purplish heat marks of the welds at the joints, each frame becomes visually unique. Though the bare bones Raw frame takes a step away from the shiny decadence of the Copper and Chrome, all three Editions share the same aesthetic language and allure of a precious metal. A hallmark of BIKEID cycles are distinct and delicate details that make their brand recognizable, but not ostentatious. 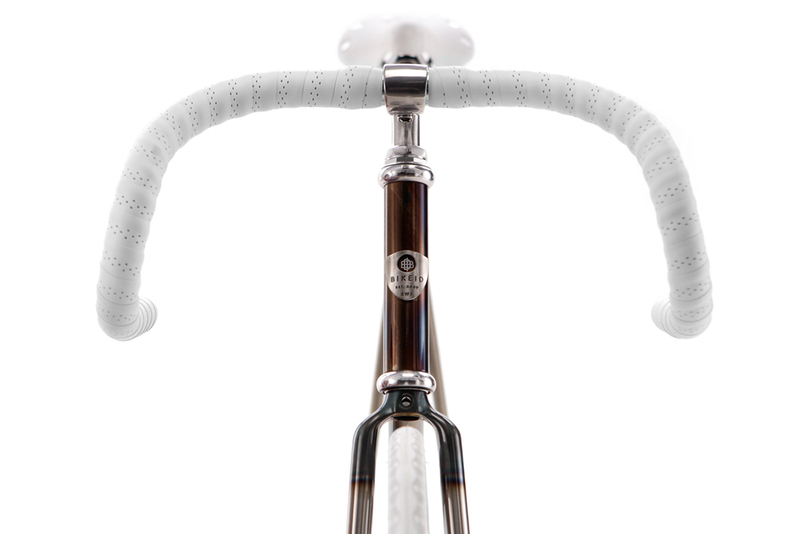 In this collection, Nightingale cites the head badge, which features a cutout to display the frame's color within the BIKEID logo, as one of his favorite distinguishing features. The color of the logo is matched to the stitched leather grips, leather saddle, and rubber tires, creating a stunning visual continuity and style profile that is unique in bicycle design. In addition to branded cork handlebar plugs, subtle graphics also adorn the tubes, some of which are on "'secret' points of the frame that the user will discover as they get to know their bike." 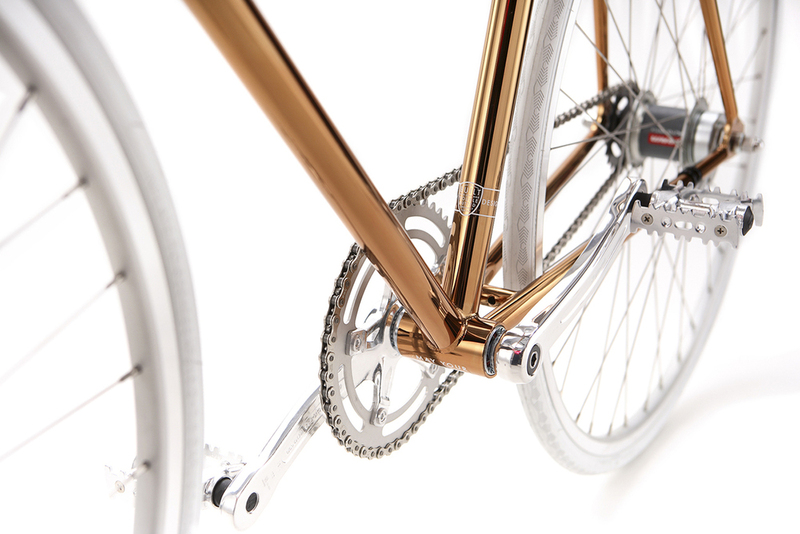 Beyond their artistic beauty, BIKEID cycles are practical, robust, and utilitarian city bikes. Made of Chromoly steel, they are strong and sturdy, yet light enough to carry up the stairs of your 5th floor walk-up. Every bicycle features an automatic two-speed gear system and coaster brake built into the rear hub which eliminates the clutter of cables without sacrificing safety or speed. The bikes are shipped to lucky riders 95% assembled, and include tools and simple instructions, allowing you get on the road in much less time than it took to assemble that bookshelf from their Swedish cousins. With simple and functional design comes an aesthetic beauty which is apparent in all of BIKEID's bicycles. They can appreciated as a design piece, as well as being a impeccably crafted example of the best mode of transport ever invented. Their reverence for bicycles, and the joy BIKEID hopes to bring to riders is evidenced by the wish engraved on the bottom bracket of the Diamond: "May your feet never touch the ground."